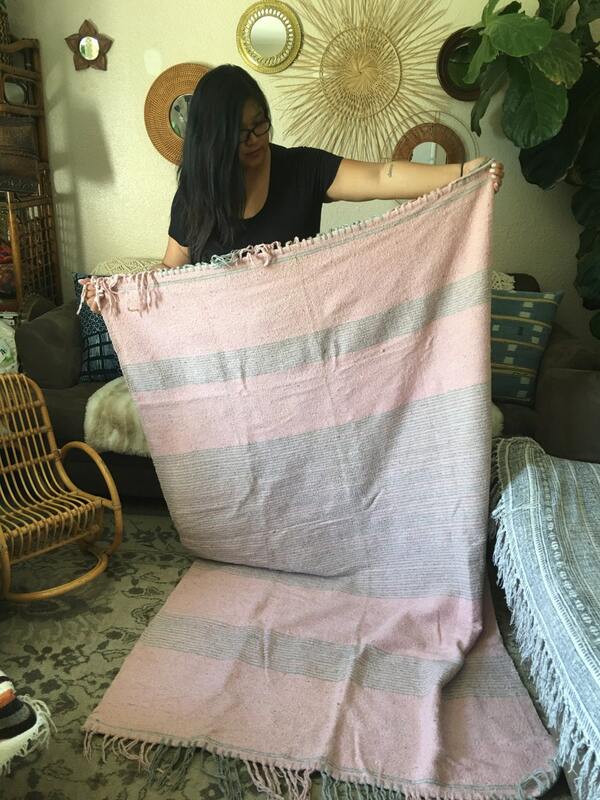 A soft, powder pink wool blanket with gray stripes. 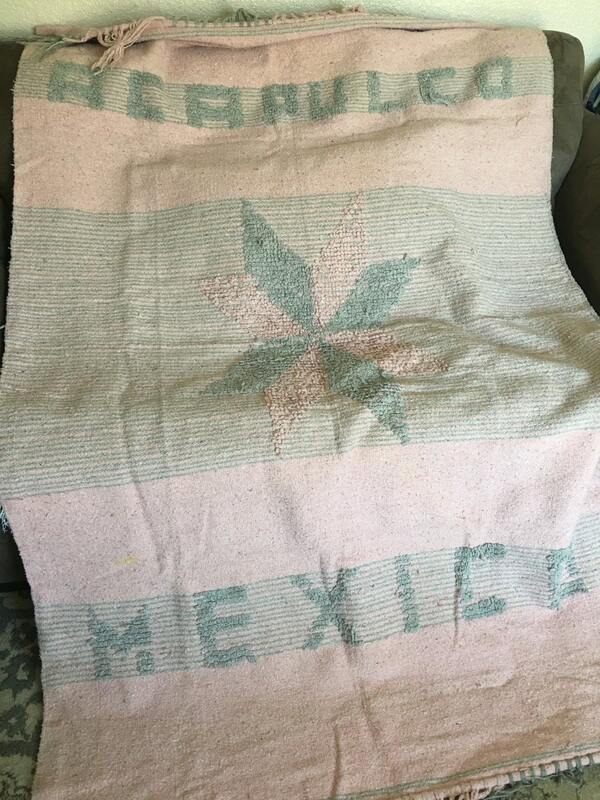 One side has Acapulco, Mexico in big block letters, along with a large star in the center. 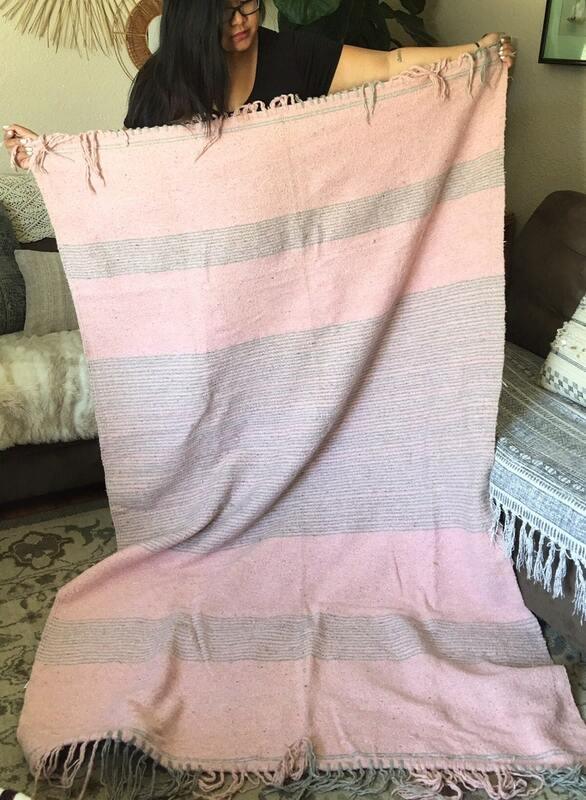 Other side is a solid pink with gray stripes. 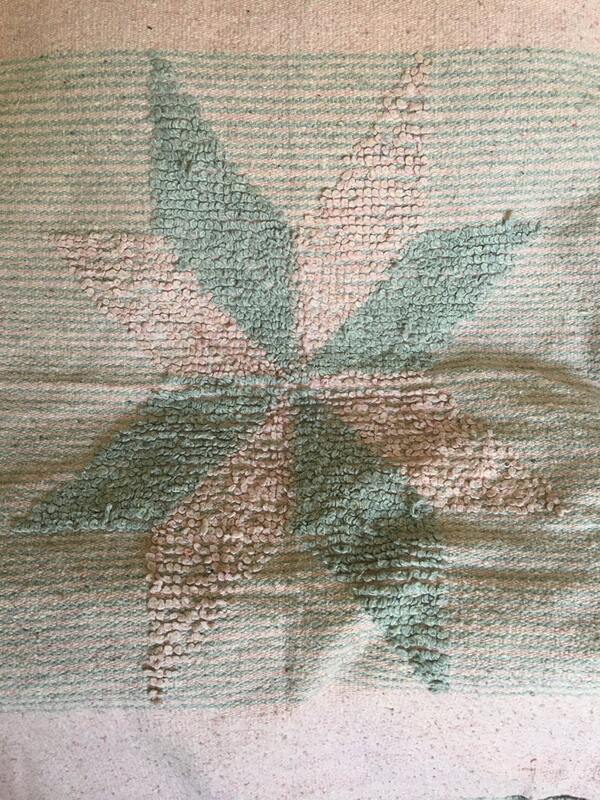 Thick wool and well made, with each side having different design that cannot be seen through on either side. Aged vintage condition with some natural wear. 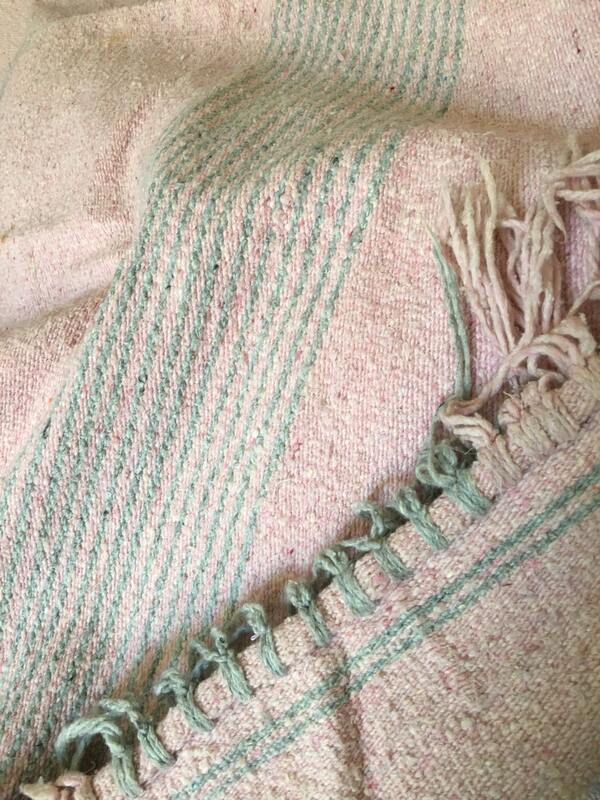 Fringe is slightly discolored and some parts are delicate. No major rips, holes, or stains. Some snagging here and there.